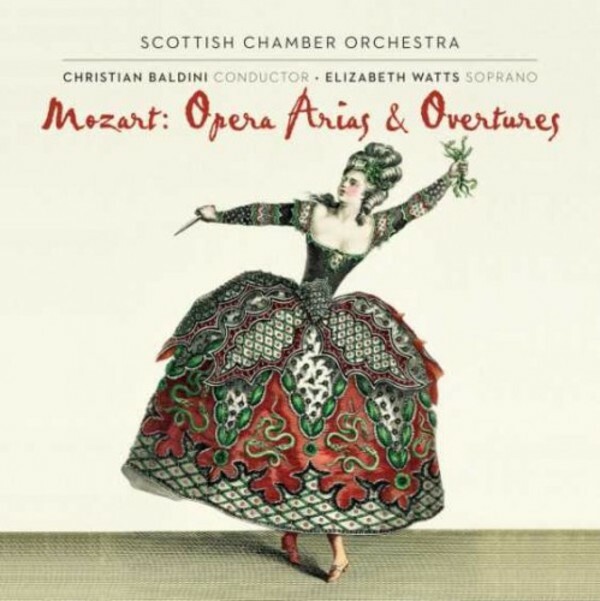 The Scottish Chamber Orchestra has established impeccable Mozartian credentials with its award-winning discography, to which 'Mozart: Opera Arias and Overtures' is the latest addition. The SCO�s previous forays into operatic repertoire (Handel with soprano Emma Bell and Mozart, Haydn & Cimarosa with baritone William Berger) have been highly critically acclaimed. This recording features a hand-picked selection of arias from six of Mozart�s much-loved operas, alongside their respective overtures. The SCO�s affinity with Mozart�s music is demonstrated with perfect eighteenth-century style in the overtures, whilst the arias see the orchestra lend characterful support. Award-winning soprano Elizabeth Watts has performed in 'Don Giovanni' at Covent Garden, 'Cos� fan tutte' for Glyndebourne on Tour and 'Le nozze di Figaro' for Santa Fe Opera and Welsh National Opera. With a voice described as �one of the most beautiful Britain has produced in a generation� (IRR), Elizabeth Watts has established herself as �one of the brightest new talents� (The Independent). Watts won the 2006 Kathleen Ferrier Prize and the Rosenblatt Recital Song Prize at the 2007 BBC Cardiff Singer of the World Competition. A love of Mozart inspired conductor Christian Baldini to make music his career, so it is fitting that his recording debut with the SCO features repertoire that is so close to his heart. He is a dynamic artist with a �keen ear for detail' (The Scotsman). He regularly conducts several international orchestras, including the SCO, and opera for the Aldeburgh Festival. The Scottish Chamber Orchestra is a world-renowned orchestra with an outstanding reputation for Mozart.